Nebraska Checks Celebrate Your Love For The Cornhuskers. Your devotion to the Nebraska Cornhuskers is undeniable. Now that the University Of Nebraska-Lincoln is participating in the Big Ten Conference, you can rev up your team spirit along with Lil' Red and Herbie Husker. With Nebraska logo checks you can shout, "Go Team" with every check you write out. Our NCAA personal checks are just as supportive of your team as they are practical for your checking account. 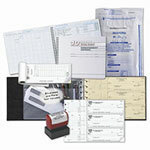 Brought to you by our check partners, Bradford Exchange Checks and Identity Checks, they are expertly created with premium-quality check printing. With cheap check prices it's never too late to show your Nebraska Cornhusker's spirit - get your University of Nebraska personal checks today. Shop Now!